Nutcracker Ballet Sugar Plum Fairy. 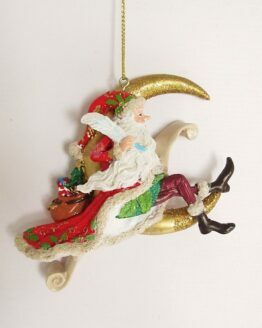 From the perennially popular ballet The Nutcracker, a beautiful hanging Christmas tree decoration. Hand-painted with careful attention to detail, the Sugar Plum Fairy wears a cupcake head-dress and carries a striped candy cane. A superb gift for any lover of ballet that will be treasured for years to come. Shop here for more Nutcracker Ballet decorations.